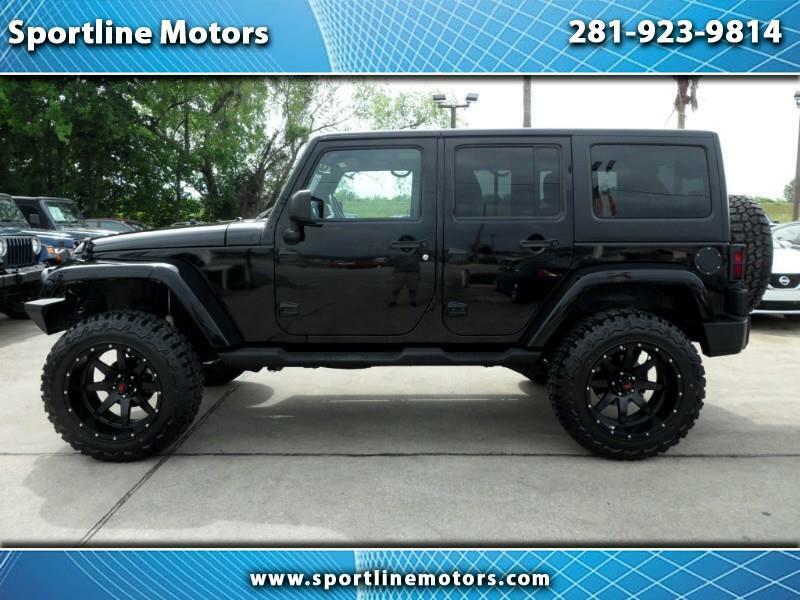 2015 Jeep Wrangler Unlimited 4WD Freedom edition. Black with black leather trimmed seats. This Jeep carries the Oscar Mike badge which means 'On The Move'. This Jeep features a special star patch on the seats. Drives great. Lifted. New 20 inch Havok Offroad rims. New 35 inch tires. Call Rodney at 281-923-9814 for more details on this internet special. WE FINANCE-NO CREDIT CHECK. Let us bring out the JEEP in you!